Kilonzo is a boy thrust into the world of post independent Kenya. He comes of age facing student riots and an oppressive political machine his father Chief may have a hand in playing. KILONZO arrives in post independent Kenya from America. The disturbing truth about Chief, his father, comes into play with his association with the lion men. Their philosophical agenda collides with rioting college students on a surreal college campus setting. The lion men’s questionable alliance is hidden in the black shadows with the Kenyan President(s). In the end Kilonzo discovers who he really is; an orange face forced to inherit years of uncertain destiny. Great book with deep insight to a boy coming of age as the world around him challenges his will. 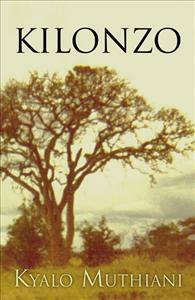 The author uses personnal experiences as a foundation for this fictional novel.